Do you struggle with staying focused while you pray? You aren’t alone. In fact, this is the number one prayer problem people share with me. This shouldn’t surprise us in a culture that constantly interrupts us by texts, notifications, commercials every seven minutes on television and a host of other distractions. It’s a wonder anyone can focus. Good news -You don’t have to be a victim to your wandering thoughts. With a few simple strategies even the most ADD person can reign their thoughts in and spend quality time with God in prayer. I was reminded of this simple fact recently when focus became a HUGE problem for me over the past four weeks. Here’s what happened and how I fixed it. Since March first I have been sewing baby blankets and praying over them as a Lenten discipline. I share more about this in the video above from a Facebook Live broadcast I did. This discipline has been an awesome and yet trying experience. When I first put my foot to the sewing peddle and tried to pray my thoughts jumped around like drunken monkey. I was blessed if I could focus more than just a couple of minutes. Somehow I had to sober those monkeys up and toss them a banana. At first I attempted a simple tried-and-true focus strategy that I have used to countless times before to pray at length on road trips. I began praying out loud. You might be surprised at how effective just praying out loud can be to keep focus your prayer attention. On long car trips and in other scenarios praying out loud has proven incredibly effective for me, but it wasn’t giving me quite the level of focus I was looking for while sewing. Sewing was demanding just enough more attention from me than driving that it watered down the effectiveness. So, I layered in another proven strategies. Once I started praying out loud my focus lengthened but I found myself having awkward pauses wondering what to prayer next. 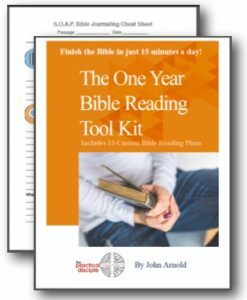 So, I gave my prayer time a framework by following a pray model I have used a millions times in the past, the ACTS prayer. ACTS stands for adoration, confession, thanksgiving, and supplication. Once I coupled praying out loud with a simple model to give my prayer direction, I was a focus machine. I prayed almost non-stop for the entire thirty minutes. In fact, I never made it through all four letters. With a pray model in hand, I felt like I had gone from trying to push my way through a dark impenetrable jungle to following a well-lit trail. The experience was amazing. I am going to experiment with using others models over the next few weeks as I finish my Lenten discipline. Focus falls apart when we are bored, distracted, or fatigued. The key to focus is having a plan for actively engaging the mind and body in prayer. You can see from my experience that I stacked a physical engagement strategy (praying out loud) on top of a mental engagement strategy (following a prayer model) to create a one-two punch that knocked out my drunken monkeys for good. Other ways you can physically engage in prayer are: adopt an intentional posture like kneeling, write, draw, sing, or go on a prayer walk. You can mentally engage in prayer by: praying scripture passages, following devotional guides, using prayer models, or visualizing prayers. If a single strategy doesn’t restrain your wandering mind, try stacking strategies like I did. For example, read a devotional guide and then write out a pray that is inspired by what you read. This combination can tame the most restless thoughts. Linking prayer to an activity that doesn’t demand a lot of thought can be a catalyst for more prayer than you normally do. In fact, that’s why I adopted the whole baby blanket prayer discipline. Sewing the blankets has helped me pray much more around a specific concern. This was true even before I started using the strategies. Having the sewing time helped me in two very specific ways. First, it created a daily block of time I intended to use to focus my prayers in a specific manner. I feel like I have an appointment with God every day for thirty minutes about my spiritual concern for the next generation. Second, the blanket and process of sewing inspires and informs my prayer. For example, on the first blanket as I was sewing in blue blocks, they made me think of water and how many children around the world suffer from lack of clean water. So, I prayed for clean water for children around the world, better health, and other related concerns. Similarly, on the third blanket as I pieced the rows together I thought of how God binds us together. I prayed for children to be in healthy communities, surrounded by Godly men and women, who would help them find their place in the body of Christ. Linking prayer to an activity though is a two-edged sword because in the end you’re multi-tasking which means your attention is divided. For example, at times I needed to dedicate all of my attention to sewing, particularly when I was correcting a mistake or planning out the next steps. Nevertheless, linking prayer with sewing has been a huge spiritual net gain. 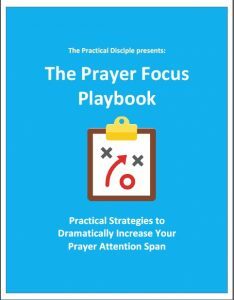 I’ve put together a free brief resource guide that includes three prayer models (ones I’ve personally used) to engage you mentally and a brief guide to three ways you can journal to physically engage your prayer attention.